That’s it! Just begin eating these foods, while completely disregarding total calories, training, and regular exercise. Eat until your heart’s content and you’ll magically burn fat. Any food you enjoy having on occasion such as pizza, birthday cake, ice cream, etc. How Do The Fat Burning Foods Above Work Exactly? It’s quite simple. According to the so-called experts, they contain magical properties that help you release fat from your big ole belly and, quite literally, defy the very laws that govern weight loss and weight gain. Just eat them and watch the fat magically incinerate overnight. No more dieting. No more struggling with weight loss ever again. Just eat these foods and your fat loss worries are over forever. No change in habits. No hard work necessary. None of that. 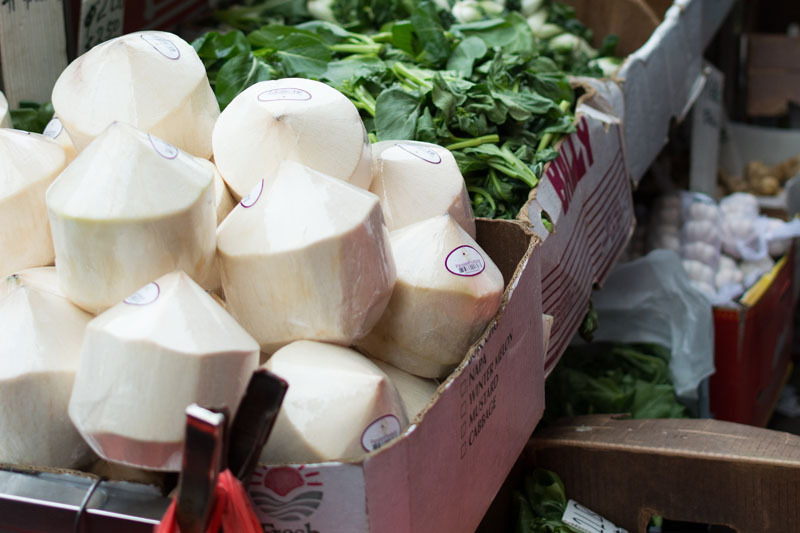 Oil from the coconut is great for cooking, but it’s easy to over eat this fat source. 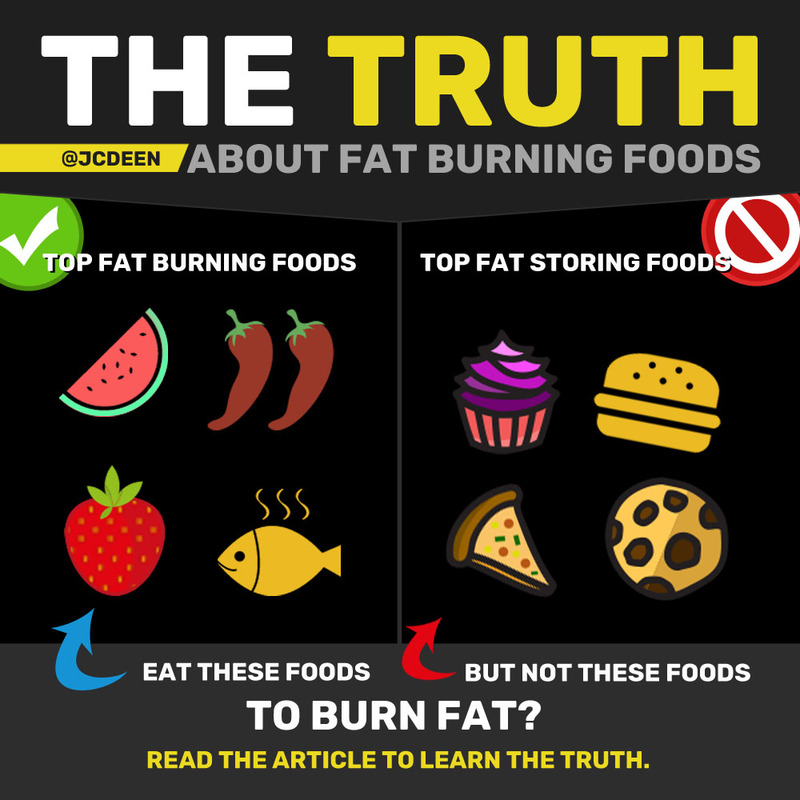 While the Dr. Oz’s and internet magazine click-baiters of the world would love for you to believe in such drivel, I’m going to help you understand why the concept of so-called fat burning foods is completely backwards and from here on out, you will know the truth about how to burn fat, and of equal importance, avoid the fad diets and false promises begging for your attention. And no, it doesn’t include a fancy list of foods to consume and foods to avoid. 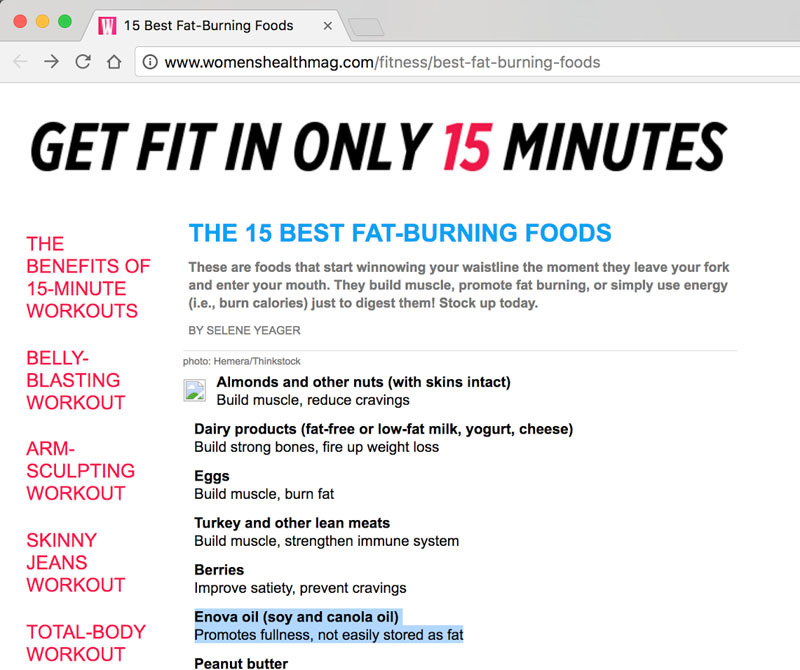 I did some reading and oddly enough, the most popular sites on the internet (magazine outlets included) don’t actually cover what the fat burning process entails. On the surface, these statements seem somewhat reasonable, right? But does consuming more antioxidants actually mean less inflammation? Is it really that easy? Is inflammation the sole driver of fat gain? Does green tea really fire up fat burning as they claim? All of this advice is actually preventing you from burning fat on your midsection because just consuming more green tea is not going to help you lose belly fat. Just swapping out your white rice for black rice is not going to promote fat loss on its own. The process is much more complex than the media would have you believe, but why? Because they know that people want the path of least resistance. Most people want a quick-fix solution that doesn’t take much time or effort. 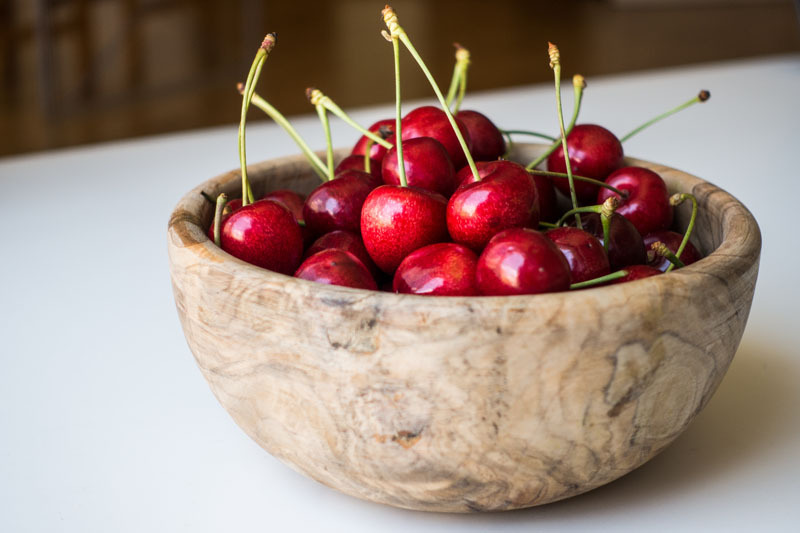 Just add some of these fat burning foods to your diet and move on with your life, right? Wrong. Every food contains varying levels of vitamins, minerals, nutrients, and water. Some foods contain more antioxidants, more of naturally occurring fatty acids such as conjugated linoleic acid (CLA) than others. And even in some studies, they show and claim certain foods have an impact on overall fat loss, but if you look closer at the studies, many of them don’t actually control for calories, so they have no idea if the person ate more, ate less, ate normally, etc. Certain drinks, such as green tea, contain caffeine and other compounds, which can be touted as fat-burning foods. 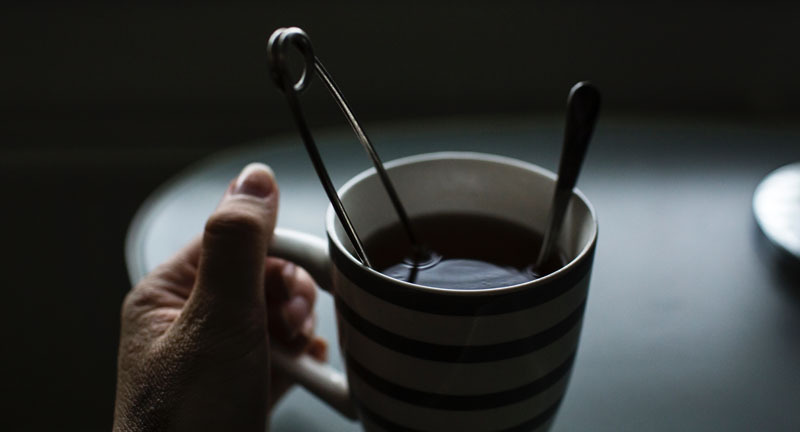 The caffeine might help curb cravings, and the antioxidants might help you stay healthy, but the act of drinking green tea doesn’t help you burn fat. There is ONE main factor concerning whether or not we burn body fat. That is calorie balance. More specifically, it’s a calorie deficit. 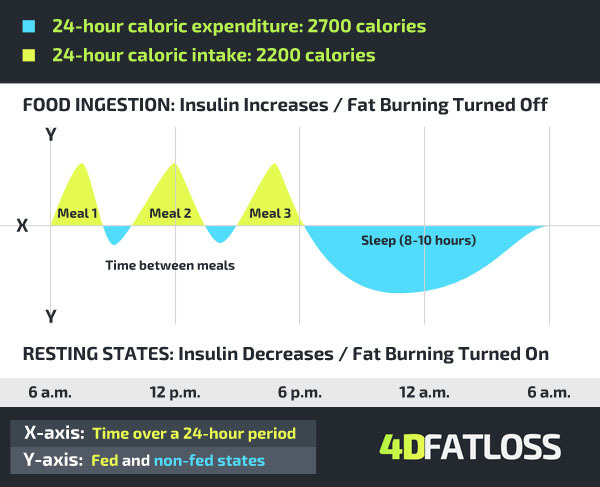 Here’s a chart that shows roughly how the calorie deficit produces fat loss over a 24-hour period. In order to burn fat, you have to consistently eat less than you’re burning. In my article How To Create A Caloric Deficit To Lose Weight, I cover exactly how to setup your diet to burn fat. 1. You Must Eat Less Than Your Body Burns. This is what’s known as maintaining a caloric deficit. Yes, no matter what you may have heard, you do have to put yourself in an energy deficit if you want to lose weight. There’s no way to get around this, despite what the claims are about eating all of the magical fat burning foods.  Check out my articles on how to actually lose fat using science, instead of praying the latest batch of fat burning foods will work for you. If you’re new to tracking macronutrients, see this: what are macros? And I have you covered with my how to count macros guide. But remember, it’s not just about macros only. Sure, you can get lean on ice cream and pop tarts, but the IIFYM folks could very well be lying about their intake. For a full guide on how to eat better, start with my review of The First Diet. Regular strength training, intense cardio, and managing your diet is the most effective way to change your body composition. Long duration cardio, while helpful for burning calories, is not the best way to go about creating a caloric deficit to lose weight. Once you’ve taken care of the calorie deficit, your macro plan, and training program, all you need to do is be consistent. Yeah… like that’s so easy, huh? I know being disciplined and consistent is harder than anything else. I get it. But without being committed to the habits and activities that produce the results you want, you’ll never make progress. Remember, losing fat takes time, patience and persistence. See Salim’s story to see how long it took him to lose 15 pounds of fat. In this final section, I’m going to break down the 13 foods I started out with and explain WHY they’re not actually making your body burn fat. Remember: every food contains calories. Some contain way more than others. Foods that are easier to overeat on are typically high in fat, carbs, or a combination of the two. See my full article on why it’s not just carbs that are making you fat, but highly palatable foods, in general. If a food is high in fat, it’s probably way easier to overeat on than something that’s not, mostly because fat contains 9 calories per gram, instead of 4 per gram like protein and carbohydrates. Coconut oil is a great food to get healthy fat into your diet, but it’s not going to magically make you burn fat. It’s a good oil to use for cooking, and it tends to remain fresh while other oils can go rancid. In reality, all fat is calorie dense because it comes in at 9 calories per gram and it’s incredibly easy to overeat on. A calorie deficit must be created to burn fat. Eggs are a fantastic food that contain a great protein profile, good fat in the yolks, and cholesterol which might be good for your hormone health. However, each yolk contains 4-5 grams of fat… And if you’re trying to lose body fat, overeating on any macro will keep you from your goal. Berries are a good low-calorie food that are packed with nutrients, but they still contain calories. So while it’s much harder to overeat on berries than coconut oil, they still contain energy. But remember this… the antioxidants, fiber, and other nutrients in berries are good for your body, so you should probably keep them in your diet. But don’t eat them believing they’ll magically make you burn fat. Full-fat Greek yogurt is a tasty protein source, but like I mentioned about the fat content earlier, it’s easy to overeat on. 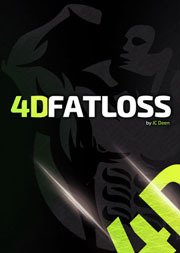 Consuming lots of calories over your maintenance intake is NOT ideal if you want to burn body fat. Grass-fed steak is a great way to get quality protein, fat, and vitamins/minerals, but beef can be high in fat depending on the cut. And if you over consume a macronutrient to the point of eating more than you burn, fat loss ain’t gonna happen. Fatty salmon is similar to the steak above. Good source of protein and fat, but when cooked in butter, it immediately turns into a very high fat meal. Eating fat on a diet is not off limits. In fact, we all need fat in our diets for optimal health and function, but if you overeat on it, it’ll never help you burn fat. Peanut butter, just like all the other high-fat foods above, this one still contains a lot of calories per serving. Remember, a calorie deficit must be created to burn fat. Avocados. Same as my sentiments above. High-fat foods have a high total calorie count per serving. Grapefruit is relatively low in calories per serving, but it doesn’t contain magical fat-burning properties in and of itself. Can it be a good food to eat while you’re dieting and trying to stay full? Absolutely, but a calorie deficit must be created to burn fat. Ginger is technically what some call a superfood. It’s mostly used in cooking, but sometimes it’s ground up for tea, or other uses in food. While it doesn’t contain many calories per serving, most won’t find themselves chewing on ginger root as it’s quite strong in taste. Consuming ginger does have many benefits, some including a reduction in inflammation, a remedy for stomach/digestive issues, and many other interesting medicinal-like properties. But no compounds in ginger will magically make you lose weight. Cayenne pepper is similar to ginger in that it might be considered a superfood, but consuming it alone without reducing calories and exercise for fat loss won’t make you any fitter. Since you’ve made it this far, you know that fat burning foods aren’t actually a thing. If this frustrates you, I can empathize. It’s not easy to unlearn some of the so-called truths that health and fitness experts yell out from the rooftops. Burning fat is a process that requires a calorie deficit, better food choices, a good exercise plan, and most importantly, consistency. 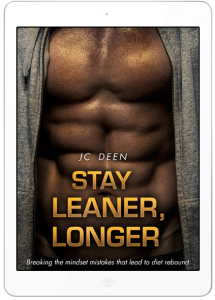 If you want to learn how to actually burn fat, keep it off, while still having a life, you’ll want to check out my free fat loss course below. Wow! Great Article, JC!! Definitely A LOT of “food for thought” here-and without the calories to boot! LOL! Wonderful Read my friend! !